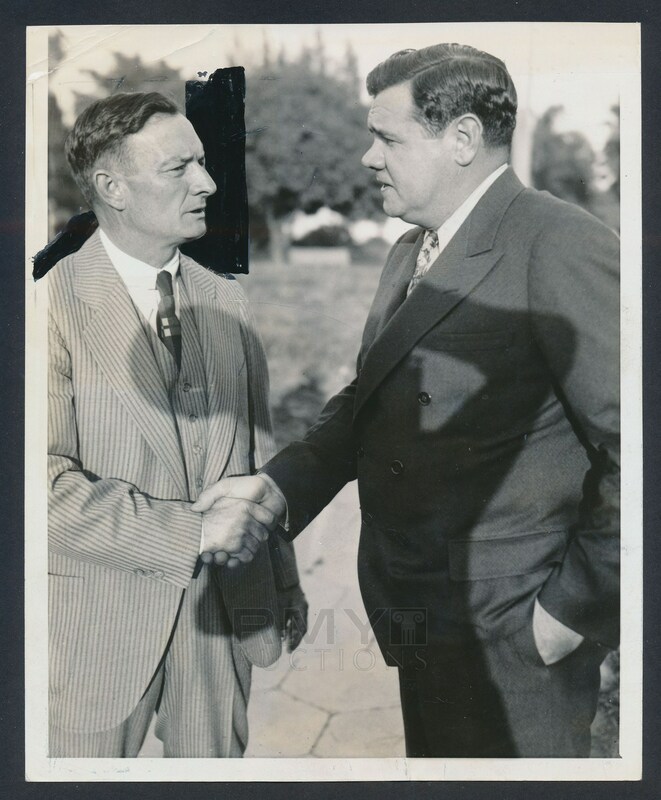 Lot # 35: 1935 Babe Ruth, "Welcome Back to Boston" Important Photo Meeting New Team! 1935 Photograph of Babe Ruth as he meets his new manager in Boston (Bill McKechnie) after the trade that sent the most famous athlete of all time to the Boston Braves from the New York Yankees. 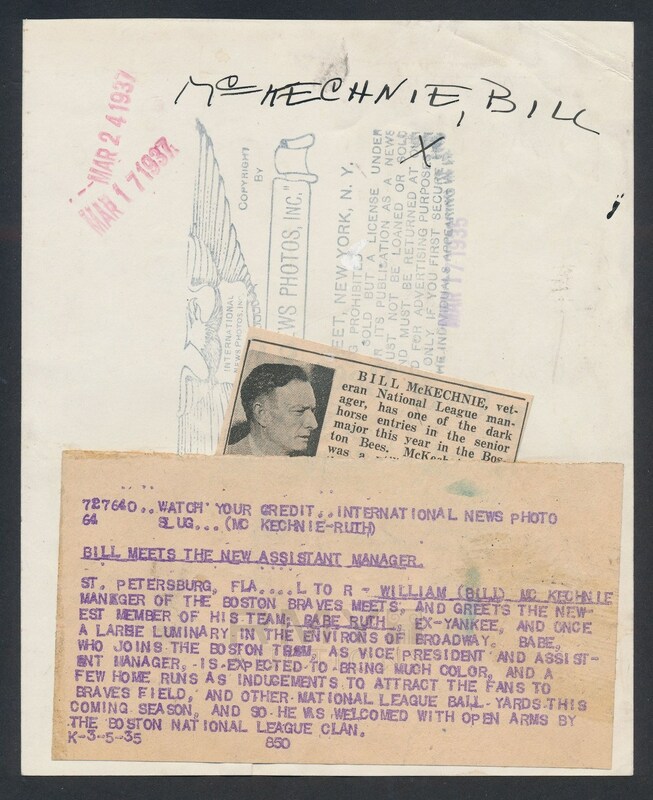 It mentions on the back that Ruth was expected to bring, "much color and a few home runs to attract fans to Braves field." An important image from one of the biggest moments of Ruth's career, issued by the International News and stamped on the back with a large paper caption as well.